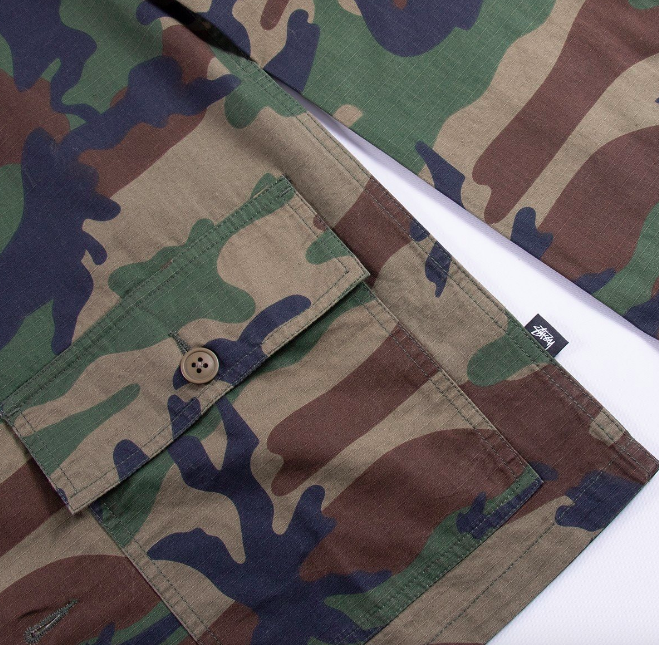 Imagine if Stussy actually provided military uniforms to armies IRL. We’d all be signing up to do our bit wouldn’t we? 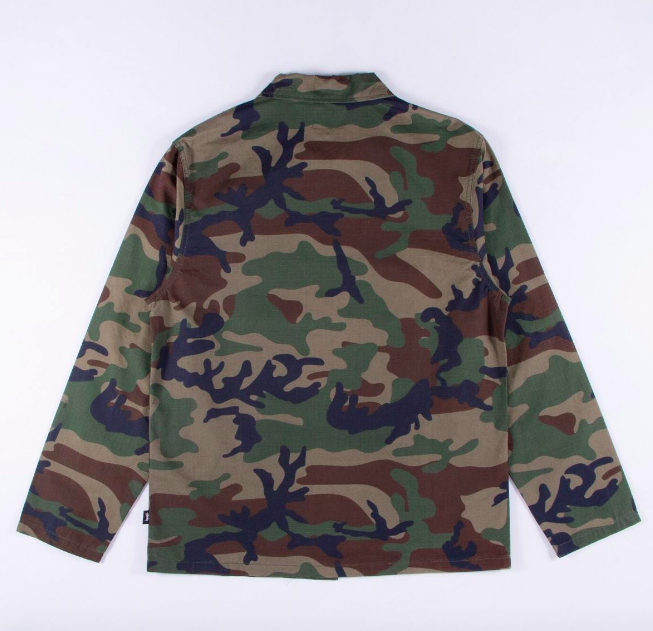 Fortunately you don’t have to risk getting blown to smithereens to get hold of some of this kit as our favourite quartermasters Wellgosh have got some new Stussy supplies in that includes this immense camo shirt. 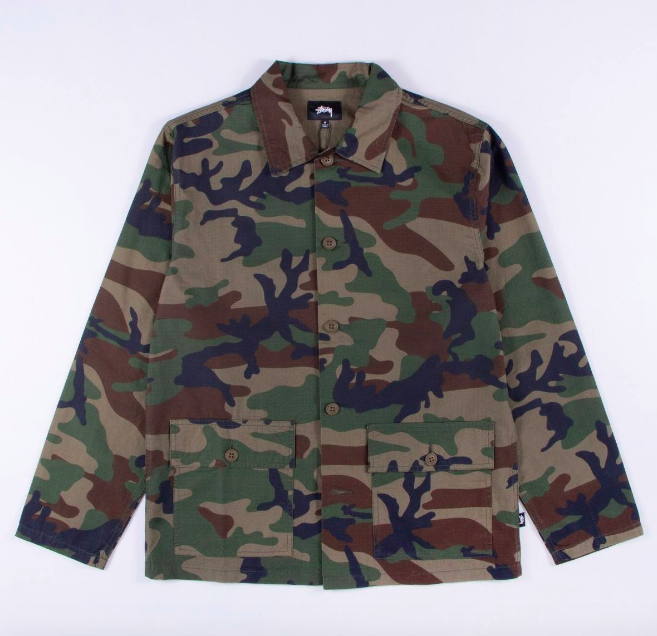 Made from 100% battle-friendly ripstop cotton and cut on a minimal and sleek design block there’s a strong vibe of authenticity to this superb Stussy (over) shirt. 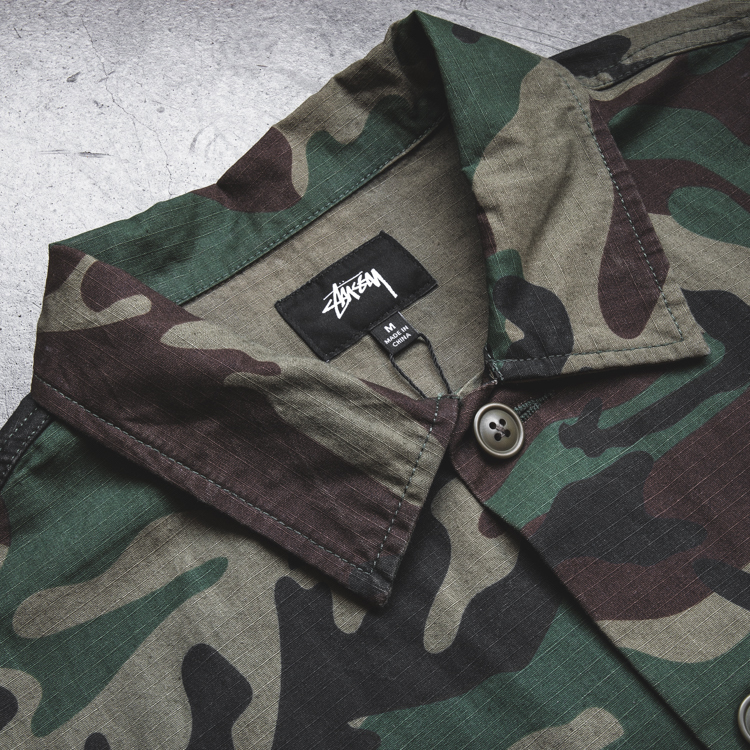 Buy a Stussy military LS Shirt in Camo from Wellgosh here.